Do enjoy adding Morocco Gold to your salads, cooked dishes and in this wonderfully warm weather, with your ice-cream! Partridges originally opened in 1972 in the fashionable area of Sloane Street in Chelsea. It has a reputation for selling the best quality foods from British producers and importing food and wines from all over the world. 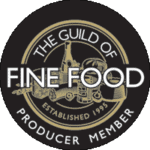 It is one of the few remaining family-run food shops in Central London and still cherishes its original idea of providing the very finest quality foods.